Turkey has been surprised by a sudden behind-the-scenes change in attitude from the Obama administration regarding the embattled regime of Turkish foe Syrian President Bashar Assad, Turkish diplomatic sources told KleinOnline. The sources said that while U.S. rhetoric against Assad remains strong, the Obama administration is suddenly dropping the ball in supporting a NATO campaign against Assad. The sources said the U.S. is suddenly scaling back material support for the Syrian opposition. The Turkish sources said Turkey and the Syrian opposition are “disappointed” with the change in attitude, which they claim comes without any diplomatic justification from U.S. officials. 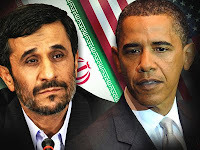 Just last week, KleinOnline quoted informed Middle Eastern officials saying Obama has been engaged in secret, back-channel talks with Iran in which he informed Tehran’s leaders he is completely opposed to any Israeli strike on Iran’s nuclear facilities. The officials told KleinOnline the behind-the-scenes talks aim to secure a guarantee from Iran that it will not retaliate against the U.S. in the event of any Israeli military strike, the officials said. The State Department did not immediately return a KleinOnline request seeking comment on the alleged back-door talks. Assad, meanwhile, continued his military crackdown on the well-armed opposition targeting his regime. Syrian troops reportedly clashed with army defectors and shelled rebel districts in the central city of Homs yesterday, with claims that at least 11 civilians were killed. The move came just one day after the government claimed it had begun a troop withdrawal ahead of the deadline to implement an international truce plan by April 10. Russia yesterday warned other nations not to arm the Syrian opposition, saying it would only escalate hostilities. KleinOnline previously reported on claims from Egyptian security officials outlining what they said was large scale international backing for the rebels attacking Assad’s embattled regime– including arms and training from the U.S., Turkey, Jordan and Saudi Arabia.